If you have been keeping up with the trend to use free knitting patterns for your knitting projects then you probably have been searching the internet for web sites offering them. 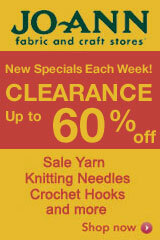 It is not just by collecting free knitting patterns that you can save money. You need to look around your house for knitted items that you no longer use. Look at any old sweater and ask yourself if you still like the style, maybe you never really liked it in the first place. Maybe you still love the color or the texture of the yarn. This will probably be a good candidate for re-using the yarn and knitting a whole new sweater using one of those free knitting patterns you have been collecting. I have done this often because I hate to waste money. Once you have made the decision, and the size of the sweater is approximately equal to or larger than the one you will be making from your free knitting pattern, then the decision is easy...it's time to re-use the yarn. The first thing I do is unstitch all around the seams. Take your time and be careful where you cut so you don't keep cutting the pieces of knitting. First you need to find the end where the knitting was cast off, not on, because the way the yarn is knitted, makes it very easy to just pull and unravel each row. It helps if you have a helper with their hands about a foot apart. I have many memories of sitting with my hands apart while my mother wound yarn around them. If you don't have a willing pair of hands then just use the back of a chair to wind the yarn around. If you find that some of the pieces of yarn are short you can just tie the next piece to it and continue on. I usually tie a couple of pieces of yarn loosely around the bundle to stop it tangling. This is the stage you look at it and wonder how you will knit with this crinkly yarn. If you used it this way it would give a bumpy texture to your knitting and could cause problems with your tension. I have had some success with washing the yarn in bundles (washable yarn only of course). I wash yarn as usual leaving the yarn quite wet. I hang the yarn over the back of an old chair outside, or inside in the bath tub in the winter. You can use anything that will let you hang it. A stick across two boxes will work. Because the yarn is wet it will pull itself down while it dries. When it is dry I wind it with my yarn winder, but if you don't have one just hand wind into balls. I like to use my yarn winder because I can pull the yarn from the inside which stops it rolling and catching. Some people have success winding the yarn around a small object to make a hollow inside but make sure you can get it out. If not then hand winding it is! Now take your yarn, which cost you nothing, and take your free knitting patterns, which cost you nothing, and start creating. The pride of wearing something you have made yourself will be so much more when you can say that you didn't spend any money to do it!